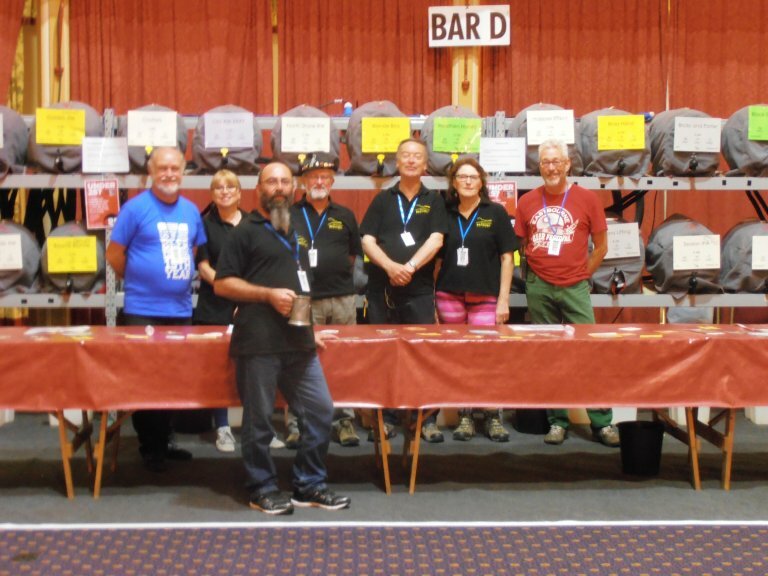 The fifteenth Eastbourne beer festival was held at the Winter Garden from the 5th to 7th October, it had been expected that there would be no festival this year due to the redevelopment of the Devonshire Park, but a change in schedule means that this will be the case in October 2018 instead. However due to building works this year’s maximum capacity was reduced from 1200 to 1100 people and when it reopens, hopefully in time for October 2019, we do not know how the capacity will have been affected by the redevelopment. The fifteenth Eastbourne beer festival was held at the Winter Garden from the 5th to 7th October, it had been expected that there would be no festival this year due to the redevelopment of the Devonshire Park, but a change in schedule means that this will be the case in October 2018 instead. However due to building works this year’s maximum capacity was reduced from 1200 to 1100 people and when it reopens, hopefully in time for October 2019, we do not know how the capacity will have been affected by the redevelopment. The total number of tickets sold was 3534, with Friday and Saturday evenings sold out as usual, but fewer people attended on Thursday evening and Saturday lunchtime, meaning about 300 fewer drinkers overall. Less beer was provided, a choice of 160+ ales was reduced to 140+; 9701 pints of beer were consumed and 2456 pints of cider and perry, a drop in the former but an increase in the latter. The festival accommodation was divided into two, one area having a stage from which bands with a local following perform and the other was a quiet space which accommodating popular pub games such as Toad in the Hole. Three awards are voted for by those attending. The Beer of the Festival was Legless Rambler, by Beachy Head, the closest brewery to the festival with a keen local following. 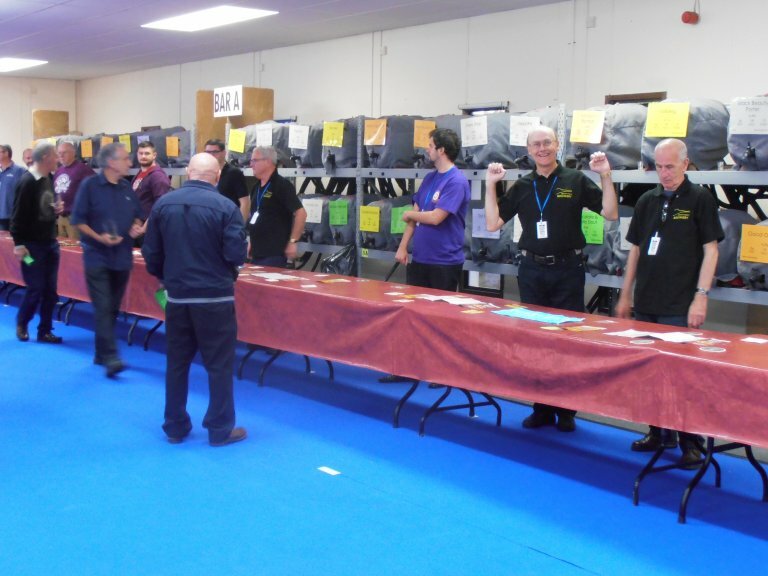 This was its second such award, but it will be its last, as brewer Roger Green retired in late October and the brewery is no longer operating, the presentation of the award by South East Sussex CAMRA Branch was the last event at the brewery. The Beer of the Festival from a. Sussex Microbrewery was Gun’s Imperial Whisky Stout, a second Eastbourne award for the brewery, but the first for the beer. Gun is at Gun Hill, 14 miles from the festival. The third award, for the best beer brewed outside Sussex, went to Brass Castle, a brewery from Malton in North Yorkshire for its Bad Kitty. This was a second consecutive award for the beer, as it was Beer of the Festival in 2016. CAMRA holds an annual Champion Beer of Britain competition. Members nationwide vote for their favourite beers in a number of different categories. When the votes are totalled up, the top beers in each region are tasted by panels of judges at various beer festivals. The top two go through to the next round from where the winners are tasted in the final at The Great British Beer Festival in August. A tasting heat was held at Eastbourne, for Bitters up to 4% alcohol by volume. 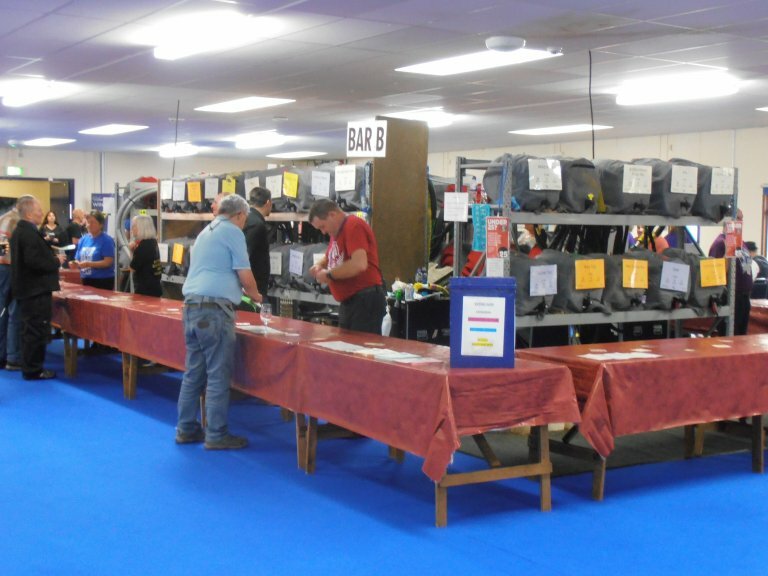 The top two were Old Dairy Brewery’s Red Top, from just over the Kent border in Tenterden, with runners up Reunion’s Opening Gambit, the brewery from Feltham, Middlesex, which was founded in summer 2015.